Over the past three years, the Russian oil and gas industry has been in the eye of the storm. It has been hit simultaneously by Western sanctions due to Moscow’s 2014 takeover of Crimea and involvement in the conflict in south-east Ukraine as well as the 2014 stunning fall in oil prices. In summer 2017, the U.S. House of Representatives approved a number of new sanctions on the Russian Federation over the alleged Russian interference in the U.S. election. Whereas new U.S. sanctions have been pushed to the forefront of the debate in Europe (perceived as a hypothetical threat to Europe’s interests), it should not make observers forget that Russia has adapted to this critical situation. The Russian energy sector has been at the heart of this adaptation process. It has implemented a change in strategy in order to mitigate the impact of both sanctions and low oil prices. Initially, Russia was adapting under emergency conditions, which led to a certain confusion. Subsequently, the situation progressively became less urgent, allowing the adaptation process to gain more consistency. This ‘new strategy’ – the fruit of a ‘crisis period’ – is tentatively emerging in a context where structural problems in Russia remain. Moscow was and still is heavily reliant on hydrocarbon revenues. This paper aims to shed light on the difficulties which Russia’s energy sector is facing and how the state and stakeholders (i.e. Russian energy companies, foreign energy companies operating on the territory of the Russian Federation and banks) are reacting accordingly. This situation raises some fundamental questions: what are the short-term priorities and long-term objectives? What do new relations between stakeholders look like? Is the adaptation efficient? It has become crucial to answer these questions in order to ‘demystify’ the current situation and gain a better understanding of challenging issues. 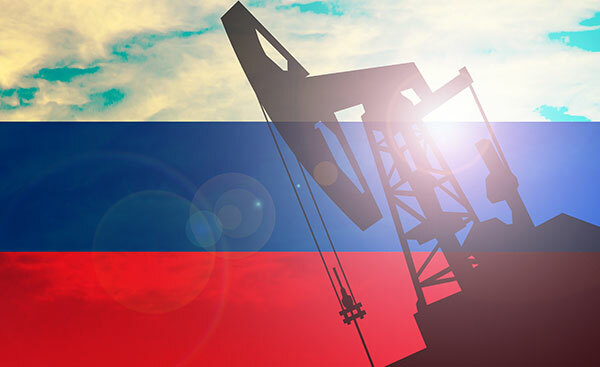 The first part gives a brief overview of Russia’s dependence on oil and gas revenues and how the fall in oil prices on the international market has impacted the country. Since mid-2014, maintaining macroeconomic stability has been the highest priority for the state, with stark consequences for the oil and gas sector. The second part highlights the main characteristics of the Russian oil and gas sector prior to the introduction of sanctions, among them the particular relationship of the state to Russian oil and gas companies, and the fiscal policy which generates discontent among companies. These two components have exerted a significant influence on the overall shape of Western sanctions. Finally, the third part analyses the nature of Western sanctions impacting Russia’s energy sector by disentangling the aims and the targets, before taking stock of their consequences. Aurélie Bros (Ph. D.) is a consultant at the French-Russian Observatory in Moscow.